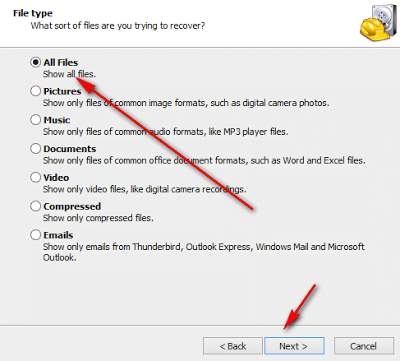 Yes, you can Recover Deleted Files, no matter what the file is. Be it Video, Audio, Software, etc, we can recover any deleted files or even shift deleted files with the help of some recovery tools.We accidentally delete files from our Computer/Laptop and Smartphone, so, do that mean We lost that file forever, Absolutely No! That’s exactly where Data Recovery Softwares comes to rescue us. Data Recovery Software is simple software that does complex duty for us. Almost 99.9% of deleted files can be recovered with major Data Recovery software. If you delete come important files on your Harddisk or computer, you directly go to any Shop and recover files by paying them a lot of money. But, have you ever wondered what they are doing? Did you know that what they do is the same what we can do with a simple software in our Computer also? If not, today in this article you will find How To Recover Deleted Files with free software. You are not required to pay anything in order to download or use that software, but if you want to get the pro version then you have to pay a little to obtain the License.. Once you have the licence key, The software will be more efficient and can recover almost all deleted files, No matter what the size is. Deleted Files will be somewhere on the hard disk itself. Deletion means moving a file from one place to another location. So, there are chances of recovering those files back. If you are one among them, trying to restore or recover deleted files then this article is for you. It’s quite usual that we accidentally delete files or even Data can be removed from our Computer/Smartphone by some type virus as well. Whatever be the method by which you lost the file, Data recovery software can help you to restore them back. So, now you are curious to know How to Recover Deleted files from your computer, hard disk, sd card, pen drive or from anywhere. When you simply delete any file on your computer, it won’t get actually deleted, all that happens is just move the file from the actual location to another location Name Recycle Bin. Actually, it’s just a Cut Paste method. Again, If you delete that file from Recycle Bin or shift delete the file directly, then it actually gets deleted from your device. 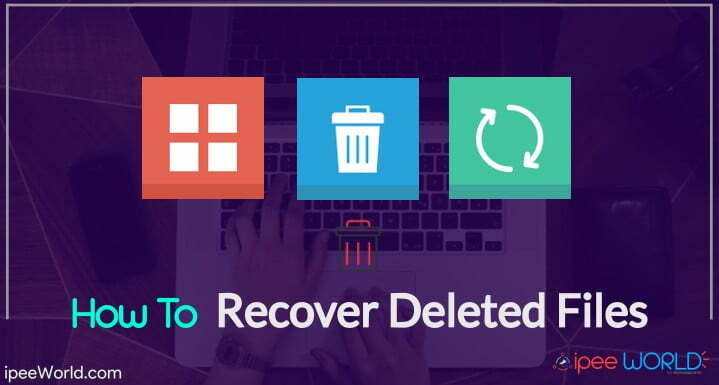 So, if you simply clicked the delete button, then you can anytime restore it from the Recycle Bin and if you deleted the file from Recycle Bin or shift deleted the file then follow the below-given guide and see How to Recover Deleted Files. This is a simple guide that anyone can follow, follow the step-by-step instructions mentioned below and recover deleted files all by yourself. No need to go any shop for recovering deleted files or so. 1. Firstly, we need to download a software that let us to Recover Deleted Files. Download the free software called Recuva from the link given below. 2. Once you download the software Install and Open it. 3. Once you open the Recuva software, you will see a window like this. 4. Check on Enable Deep Scan button and Click Next. 5. Now a new window will appear, on it, Check on All Files and Click Next again. 6. Now, A new window will appear with some options, this is one part you should concentrate more. 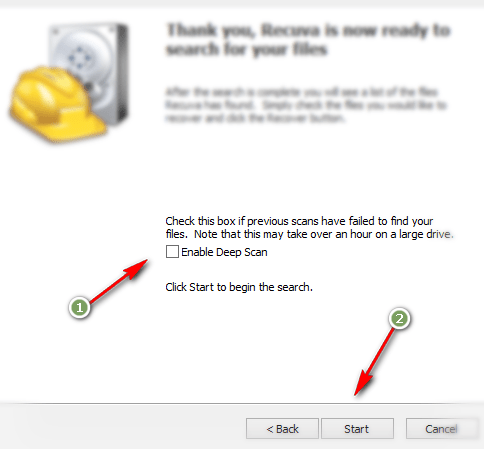 Because here you want to mention the place where Recuva should scan and Restore files for you. You will be having a lot of options on this window, if you select the exact location where you delete the file then you can recover it quickly, instead if you select to search for an entire computer, then it will be drastically slow. If you are not sure from the file is deleted, then click on I am not sure button. 7. 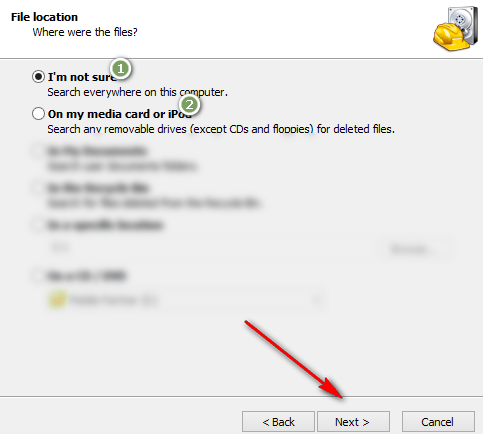 Select the exact location where you deleted the file from and click next. Now, it will start to scan the place you mentioned for all deleted files. 8. Once the scanning process is completed, some options along with a list will appear. 9. Now, you will see a whole bunch of list of Deleted Files, next search for the file you are looking for. 10. 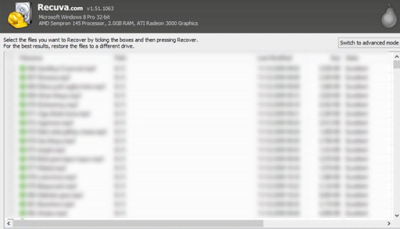 Once you found the deleted file that you are looking for, simply hit that Recover button. You can recover any file, whether it be video, audio, installer packages, images, etc it doesn’y matter. Recuva is free software and you are not required to pay anything in order t use it. Now, Recuva software will recover that specific file you mentioned. You can save it anywhere on your computer and use it like what you did earlier. So, that’s it we have successfully Recovered deleted files. This is the most simple yet free software available for recovering almost all deleted files. There are thousands of Data Recovery Software available on the Internet, they are both paid and free. Recuva is one such Free Data Recovery software that enables us to Recover Deleted files instantly. Recuva is having both Paid as well as Free plan, if you want premium features and support, then you need to purchase a pro license, if you are a simply user who want to only restore some files, then Free version will be enough for you. Next onwards, When you accidentally delete any file from your Computer/Laptop, don’t worry, Data Recovery software is always with you. If you tried to recover the files and if you didn’t succeed in it and that file is so important for you, then you can go to any Shop for recovering because they can restore almost any file, They will be having the Premium Version of the Data Recovery Software. Be sure to share this article on Facebook, Twitter, or anywhere you like and let your friends, too, know about this. Comment down below, if you have any doubt or need assistance. I heard about this tool a lot but had recently purchased a Stellar Phoenix Windows Data Recovery – Professional tool on the recommendation of my friend. It works great for me as it had recovered my lost data from my D Drive without wasting my much time. I think you must try this tool also. I am using Recuva from 2 years. It is best and freeware data recovery software for Windows. Actually, I am also using power data recovery which is paid recovery software. It is having great features. Must try it.